Welcome to the Steve Jobs based Join Up Dots Free Podcast Interview with Marilyn August. She advises business owners on how to translate their technical expertise into sustainable growth profits. But it’s not just about businesses, as she is also the go to resource for solopreneurs too. Those guys and ladies looking to build a lifestyle built around their income production. And is that experience to relate to all walks of life that has changed her life completely, since taking the Leap of faith and going alone. 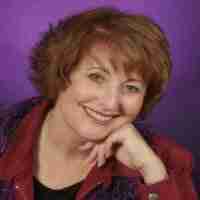 Marilyn August is an author and advisor on the topic of attracting high-paying clients and growing your business revenues with integrity. Along with her book – Wealthy U- Seven Sacred Wealth & Wisdom Lessons – her sales and marketing tools have been used for 20 years to dramatically improve the lives of everyone she speaks to. But the interesting thing about her, is although she can teach us all how to increase the wealth coming our way, she also had those same self-limiting thoughts that we all have. Money should be hard to earn. And to get rich you have to get dirty, and do things that aren’t congruent with our own morals. She had to battle through and realise in her heart of hearts that this wasn’t true. So how did she change these negative ideas that were so deeply rooted within her? And how did she take the talents that she was demonstrating daily in her corporate life and bring it all together to form her own her company? Well let’s bring onto the show to start joining up dots, as we discuss the words of Steve Jobs in todays Free podcast, with the one and only Marilyn August. How it is so important in life to accept that you have to live within the paradox of fear versus possibility. Why it is that so many people think about who they are and not who they can be! The amazement that she found when she discovered that no matter how much people earn they can still be very scared about their lives. Why a great way to start finding your passion, is simply to ask your friends and family what it is that they think you do very well….you will be surprised by what they tell you! How to find true success in life we have to manage to silence the critic within us, that nags away day after day, and tells us negative things!